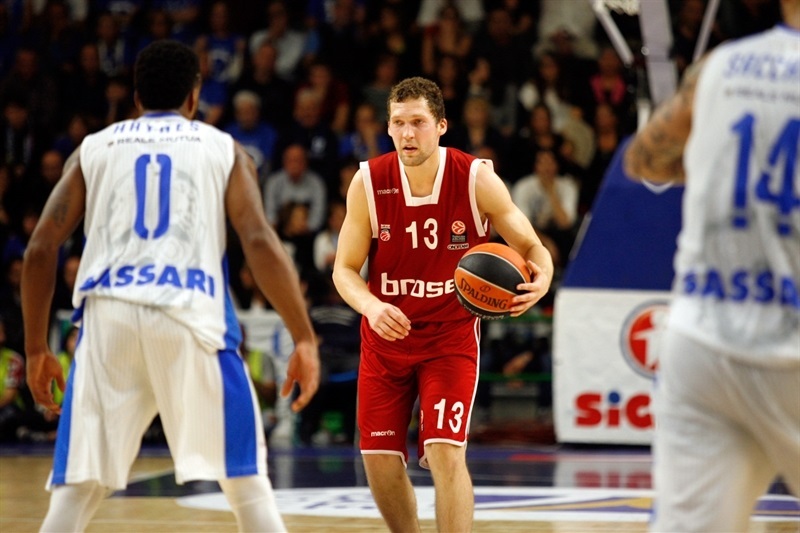 Brose Baskets Bamberg broke open a close game late in the third quarter and never looked back on the way to stopping host Dinamo Banco di Sardegna Sassari 73-90 on Friday. 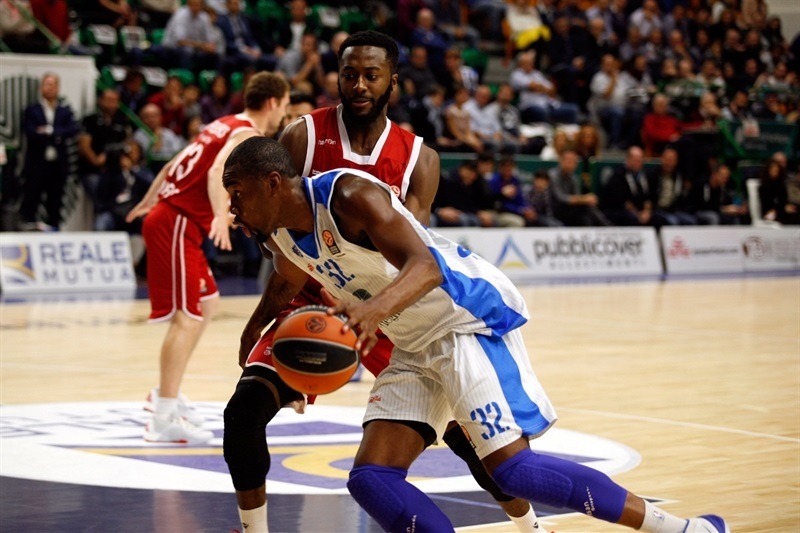 Bamberg improved to 3-2 and firmed up its hold on third place in Group D, while Sassari remains the only winless team left in the Euroleague at 0-5. 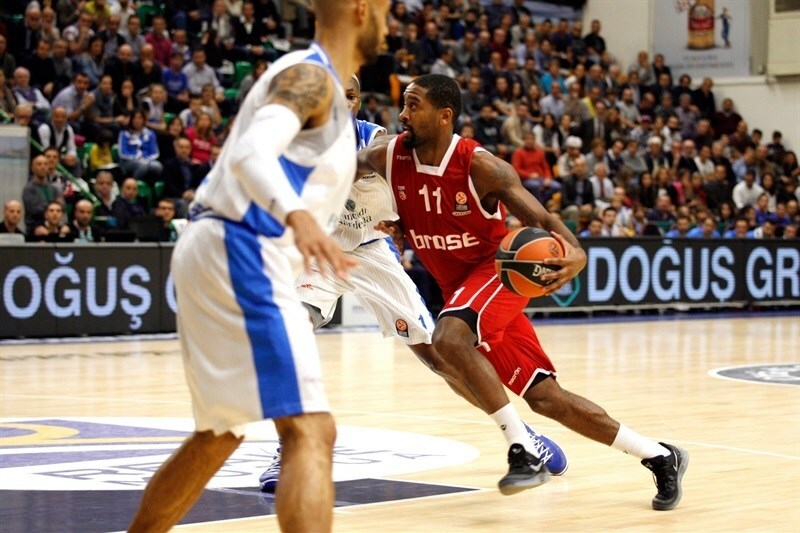 Brad Wanamaker sparked an 0-8 takeover run for Bamberg in the final 63 seconds of the third quarter, but it was Nicolo Melli – visiting his native Italy for the first time as an opponent - who did much of the rest for the visitors. Melli finished with career-highs of 26 points and a performance index rating of 37 as he also collected 8 rebounds, 4 assists and 3 steals. His back-to-back three-pointers gave Bamberg a 61-81 lead in a game the visitors had trailed 42 to 49 early in the second half and 53-52 just 7 minutes earlier. Wanamaker added 18 points for the winners and Daniel Theis 12. 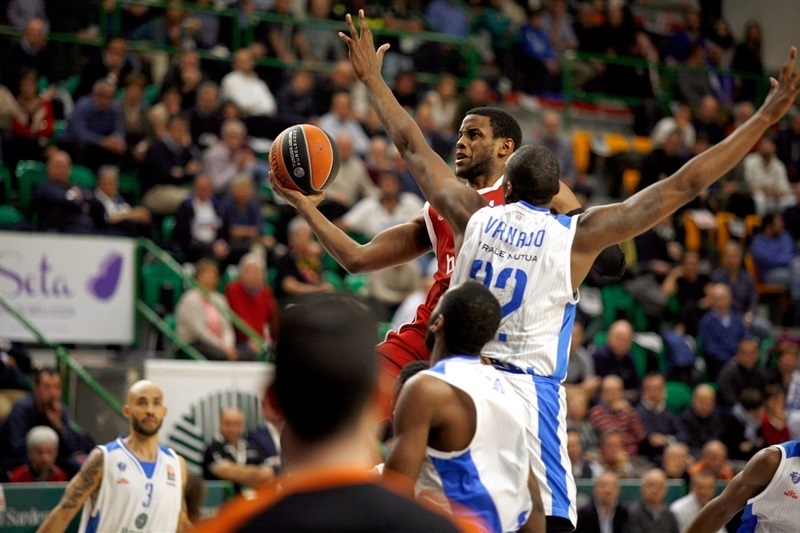 MarQuez Haynes and Christian Eyenga scored 14 each for Sassari, while David Logan had 12 and 4 steals. A big left hook by Jarvis Varnado opened the scoring before Eyenga stole a pass and raced for a dunk and a 4-0 Sassari advantage. Bamberg got its first 3 points at the foul line from Wanamaker and Yassin Idbihi. Of an inbound pass, Haynes buried his team's first triple, but Darius Miller immediately did the same for Bamberg at 7-6. Logan took the same inbound pass as Haynes for a long two-pointer, then a huge block by Joe Alexander sent Eyenga the other way for a transition triple and a 12-6 lead. Wanamaker darted for a dunk and Nikos Zisis sank both of his free throws as Bamberg drew closer. Alexander's baseline jumper made it 14-10, but Miller fed Melli for a basket before Melli did the same for Elias Harris to dunk and tie the game. 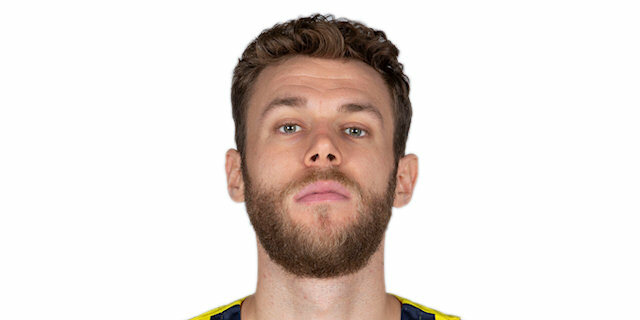 Alexander restored the Sassari advantage with another baseline swish to which Eyenga added a fastbreak dunk on a nice pass by Logan to make it 18-14. 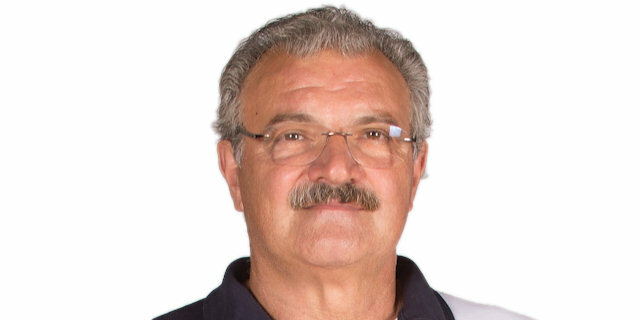 When Brian Sacchetti downed the hosts' second triple, Sassari had a 21-14 edge that ended the first quarter when Rok Stipcevic's buzzer-beater was ruled late. Theis got his first bucket in close to re-start Sassari as the second quarter started and kept it going with a dunk off an offensive rebound. 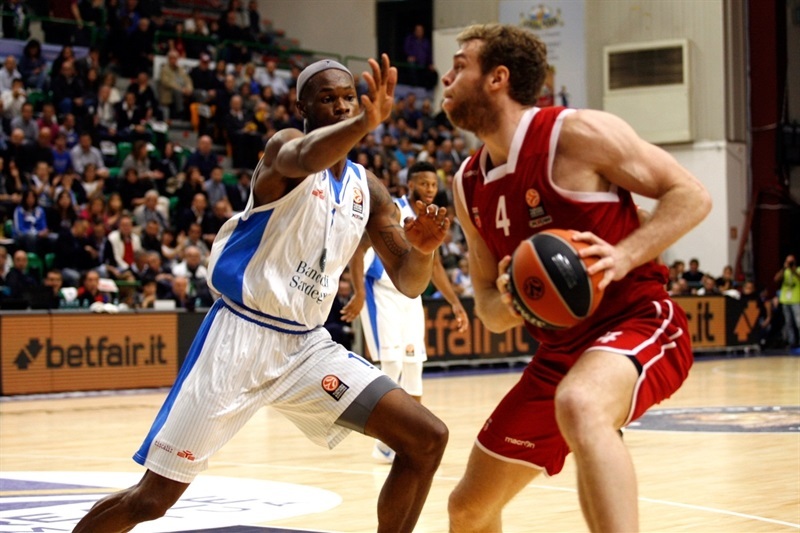 Giacomo Devecchi scored his first points from the three-point line to keep Sassari up 24-18. Wanamaker made a driving layup at one end and a super block at the other. Janis Strelnieks fed Theis for another dunk before doing the honors himself of giving Bamberg its first lead with a three-pointer at 24-25. Sacchetti scored inside to take the lead back and Haynes flashed baseline for a nifty layup at 28-25. After a tiimeout, Melli saved Bamberg's first possession with a fade-away swish. Zisis and Brent Petway traded lead-changing triples from the top, then Zisis fed Miller for a go-ahead baseline dunk for Bamberg at 31-32. Eyenga tied it up at the foul line before Melli curled for a layup at 32-34. Petway tied the score again with a second-chance tip-in before Wanamaker faked and dropped a buzzer-beater to put Bamberg up 34-36 at the break. Logan came out with a quick triple then a steal-and-layup combo to take back the scoreboard for Sassari, 39-36. Miller buried a jumper for Bamberg's first points of the half, but Logan was ready with another triple, giving him 8 points in under 90 seconds and Sassari a 42-38 advantage. Miller hit 1 of 2 free throws before Melli slammed back a rebound, got fouled and tied it up again at the free throw line. Varnado's quick hook shot came with a free throw that he hit to make it 45-42. Haynes added free throws to the Sassari lead and then Logan buried a fastbreak one-hander to match Sassari's biggest lead, 49-42. Melli answered from the three-point arc then downed free throws at 49-47. Strelnieks hit a game-tying runner from the baseline but Eyenga matched him with a turnaround hook shot. Melli was perfect with a two-point jumper and Wanamaker's free throw put Bamberg ahead again, but Alexander hit another baseline jumper to make it 53-52. Greg Olaseni assisted Wanamaker on an impossible shot. Then Wanamaker drilled a three-pointer, stole the ball and found Strelnieks open for another triple on the buzzer as Bamberg soared into the final quarter ahead suddenly, 53-60. Haynes hit from downtown to open the final quarter, but Patrick Heckmann did the same from the corner for Bamberg. 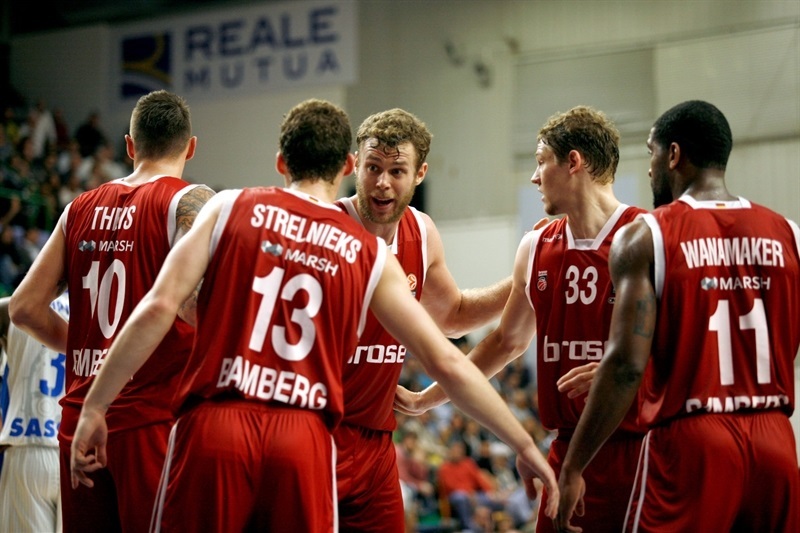 Melli swished another tunraround shot as Bamberg climbed ahead 56-65. 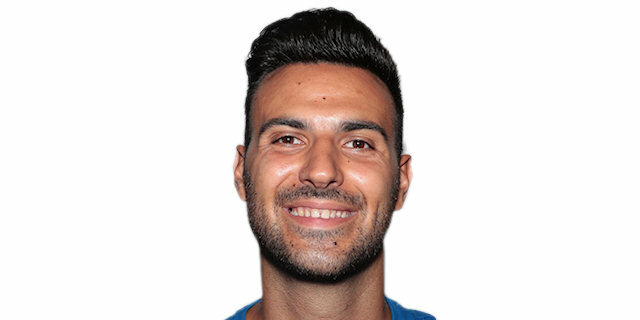 Sacchetti got 2 points back inside for Sassari but Zisis was left alone at the arc to give Bamberg its first double-digit lead, 58-68. Stipkevic gave the hosts hope with a long triple but Melli and Theis scored easily inside. When Heckmann was left alone for another corner triple, Bamberg was fully in charge, 61-75, with 5 minutes left. Next was Melli hitting from the arc to surpass his career-high, but he wasn't done. He lined up another and buried it as the lead hit 61-81. 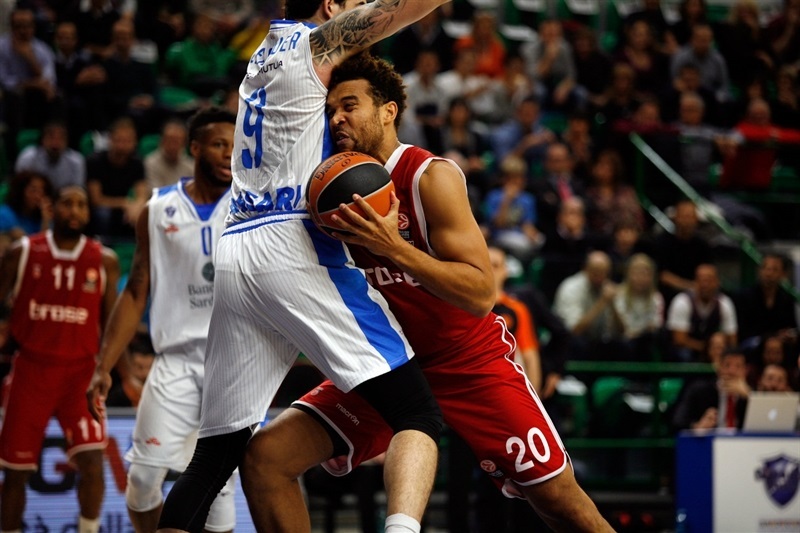 Bamberg was content to trade baskets as Haynes had a couple spectacular ones for Sassari, but Bamberg had an answer for each, leaving the hosts as the only team still searching for a first Euroleague win this season. "We had another confirmation tonight that apart from physical and technical skills, we need to be mentally strong for 40 minutes, especially in the most important times. We will respect this competition until the end." "We were stable. Logan came out from locker room hot. But we were able to bounce back. We played as a team. We moved the ball very well. And it's a huge win for us on the road. You know, in Euroleague winning on the road is not easy, so we go home happy." "We were solid enough for part of the game, getting an advantage of seven points. Then we mentally collapsed. 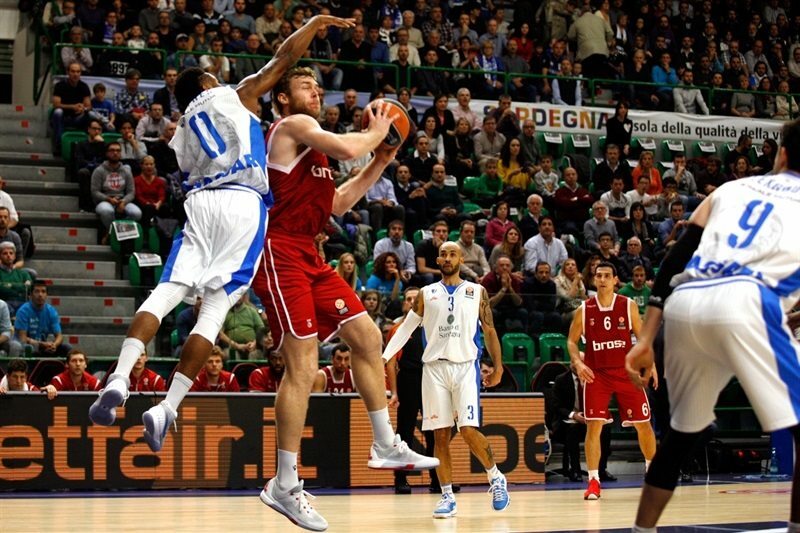 Nicolo Melli had an amazing game. We will honor this competition until the end." "It's a great job. I think we had a very good first round, so we are happy. This win gives us the chance to really achieve the Top 16 qualification. So we are very happy. It wasn't easy. 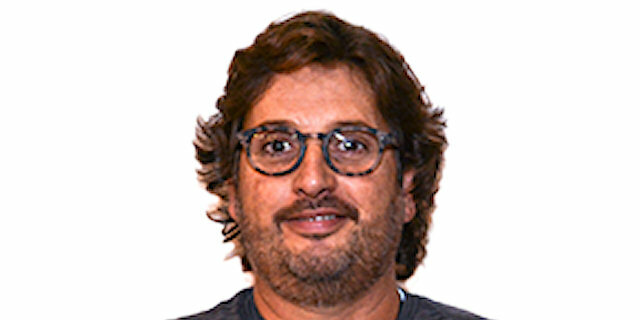 We knew that Sassari was a very talented team, very unpredictable, but we did a very good job, especially in the third quarter, that they started very well with Logan. We were good tonight and this was the result."